jdodson: The last time we talked you dropped the news you were leaving Fantasy Flight and going freelance. I wonder how things have been going for you since we talked? Kevin Wilson: Things have been going quite well for me so far. I might have as many as 6 new games out this year, depending on production times and if my 2 unsold games get picked up soon. I've also managed to get my LLC (limited liability company) set up, started a blog, and put together a website for my company. Money's still tight, as I expected while getting started, but I'm beginning to feel reasonably confident that I'm going to be able to make it as a freelancer in the long run. jdodson: You are working with with Eric Lang on a really interesting project. 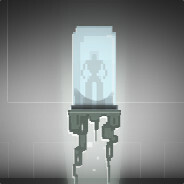 Specifically two games that seem to be companion pieces to each other. I wonder if you could give us a few hints as to how these games will operate together and what genre these games inhabit? Kevin Wilson: Ah, Tweedledee and Tweedledum actually don't have anything to do with each other except that they're both for the same company, both are based on existing IPs that I enjoy, and they're both co-designs with Eric Lang. Structurally, they're extremely different from each other, but I'm very excited about each of them. jdodson: One thing I thought was pretty awesome is that you have been talking about your games playing on a “Buttery Smooth” scale. As you have been working on games for sometime, for you, what separates a 99% Buttery Smooth game from something less like 80%? Kevin Wilson: The buttery smooth scale of rating a game is really half science, half art. :) But seriously, if I had to pin it down, I'd say it has to do with the "flow" of the game. Are there stuttery stop-start moments in the game? Then its buttery smoothness goes down. Do you lose yourself in the play and forget what's going on around you? Its buttery smoothness goes up. Like player and group psychology, it's a design principle that I've been trying to master over time. jdodson: Is there one thing about the industry you would change if you could? Kevin Wilson: Well, it's only a tangential answer to your question, I'm afraid, but I'd like to see game design continue to grow as a profession and I'd like to see more schools of thought on the topic crop up. Right now, nearly all game design attention is on videogames, because of the money in that industry, and it can foster a weird, blinkered view of games and game design. Games are all fundamentally the same, even though a part of good design is matching the design to the medium you're working in. But I'm hopeful because I've started to see a few game design books popping up here and there that are more about the philosophy and discipline of game design and less about the nuts and bolts of designing videogames. That's the stuff designers need to study if we're going to push forward the art of game design rather than the art of computer graphics. jdodson: Recently I re-watched the film “The Frighteners” on Netflix. Its a comedy horror Peter Jackson film starring Michael J Fox and was quite a lot of fun. I wonder if you have seen anything recently you might recommend? Kevin Wilson: I don't personally watch a ton of movies, but I do spend a chunk of time watching cartoons and other animation (I'm just a big kid when you get down to it). In that category, I'd have to recommend Adventure Time, Gravity Falls, and My Little Pony: Friendship is Magic. Yeah, I know, I know. Those shows are all funny and well-written, and often have surprising depths to them. Adventure Time in particular has left me flabbergasted several times, though I suggest watching it in order if you can, and giving it a chance if the first few episodes don't grab you. Still, if you must have a movie recommendation from me, then I'll recommend an old favorite of mine: Joe vs. the Volcano. It's one of Tom Hanks' earlier movies, and it layers a surreal comedy over the top of some fairly neat bits of philosophy and symbolism. Meg Ryan plays all the important women Hanks meets along the way. It's quirky and fun, but it has layers to it, along with the greatest set of luggage ever depicted outside of Discworld. One of these days, I'm going to get a necklace made of the symbol that recurs throughout the movie, as the idea of the crooked road a man must walk in life is particularly fitting for me. Life has taken me in directions I never would've expected, but that I've always found to be satisfying anyway. For instance, I would've never, ever in a million years predicted that I'd grow up to be a successful board game designer of all things, but here I am, and I passionately love what I do. 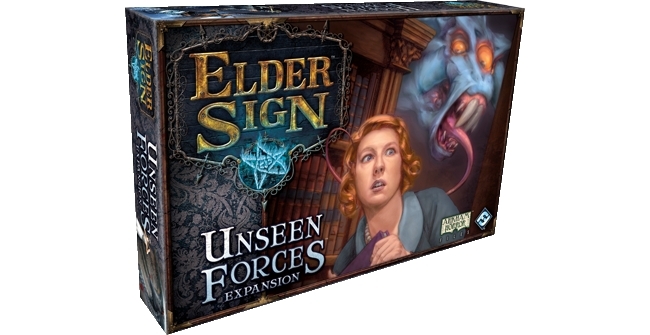 jdodson: One game you are talking about publicly that is shipping soon is the upcoming Elder Sign expansion Unseen Forces. Did much change in your process for designing this expansion and how do you think it turned out? Kevin Wilson: No, Unseen Forces was a pretty straightforward process, as I had a strong idea what I wanted to do with it from the start. I think it'll provide an excellent boost for Elder Sign and give fans of that game some more of what they've been wanting for it. jdodson: Has there been anything that has happened as you have been freelancing that has been a surprise to you? Kevin Wilson: I think my biggest surprise is just how different every company in the industry operates. I was at FFG for a long time, and I got used to their standard practices. As a freelancer, there's not really such a thing as standard practices. I'm having to be more adaptable and lighter on my feet these days, but I can only see that as a good thing. jdodson: You mention a new game you are working on codename “Lottery.” You mention a few bits about it being a casual card game meant for an audience you don’t typically play to. Did you branch from your typical design process for “Lottery” in some fashion to approach casual gamers? Kevin Wilson: Lottery was the result of a brain flash rather than a long-term design process. I designed the first draft one night while eating dinner at a restaurant using sugar packets. It's a super simple card game that plays for 1-4 players in about 15 minutes, and I just have a feeling about it. It could reach a much wider audience than I usually design for. I could even see it being successful in classrooms. jdodson: You have made some seriously epic board games that I love. Are you working on something now that you are freelance that hits the epic scale of something like Arkham Horror, Doom or Descent? Dungeons must be explored! Kevin Wilson: I'm not sure that anything I'm working on right now is going to play in quite the same time frame as those games, as my designs are skewing shorter these days, but I will say that projects Rattler, Fury, and Volcano are all going to be games of epic adventure. I'll be exploring genres I've never tapped into before, and each of them have some cool mechanical twists at their heart that I can't wait to show off! jdodson: I want to thank you for taking the time to talk with me Kevin, looking forward to your games shipping! Is there anything else you want to add before we wrap up? Kevin Wilson: Thanks for having me back to chat again! It's been a fun interview! I guess all I'd like to add is that your readers can follow me on twitter (@KevinWilson42) and visit my website at http://www.wilsoncreativellc.com. Cool interview. Always encouraging to see people taking those crazy, bold steps to follow a dream, and making it happen. Thanks for posting, and much success to Kevin Wilson! 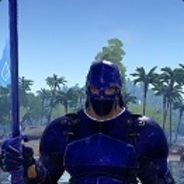 Yeah, he is a awesome guy and in my opinion makes some of the best games ive played.